So here we are, the last 4 stories on my top 11. These are the stories that, above all, have made me who I am today. I can't understate the power these things have had on me, and I can only hope my own works can one day touch people's hearts and souls the way these have touched mine. And yes, over half of them are anime. Many stories mentioned in my last post are about watching or exploring heroes. Heroism as a concept has had more influence on my life than almost any other ideological concept, and I wouldn't have had it any other way. But those stories only showed me what heroes were. 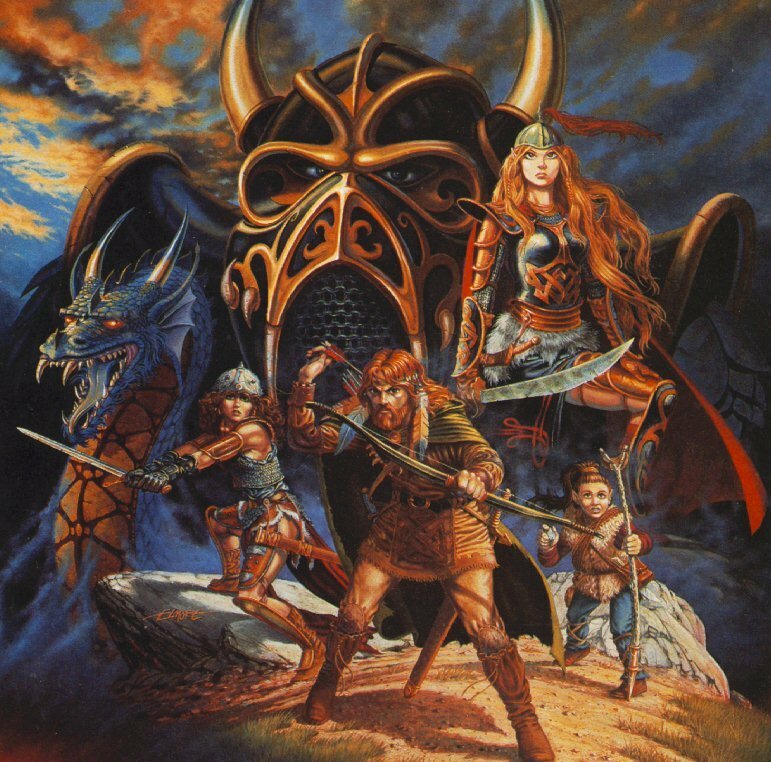 When my Dad sat us boys down and ran us through D&D games, it let us be the heroes. 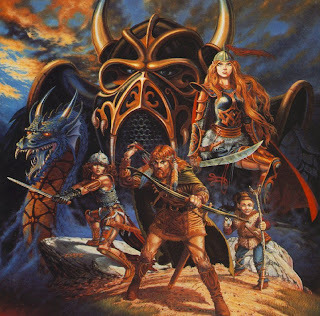 My older brothers always played a Paladin (Arthur Zanmark) and a fighter (Skullcrusher). Me, I don't remember my name, but I remember I was always the thief. (I got so mad at my brothers for making fun of the way I always pronounced it “Theith” or “Fief”) My dad used the game to teach us life lessons, instill religious principles, explore heroism, and have so much dang, unadulterated fun that to this day I still feel awesome when I think about the extra XP I got when, in the middle of a fight, I jumped on a giant's leg and used a dagger and short sword to scale him like a big, fleshy mountain. As a kid who always followed after his older brothers, this was the first time where I felt allowed to do whatever I wanted and where I felt like I was an equal in the group. That's the kind of experience that changes your life for the better, and I could never do without. Hats off to you, Dad. It would be hard to understate how much I loved this show. It wasn't just the story with this one, but it was the expert way the story was unfolded. This show, just like the main character himself, tried very hard to convince you it was a light-hearted, jovial ride. 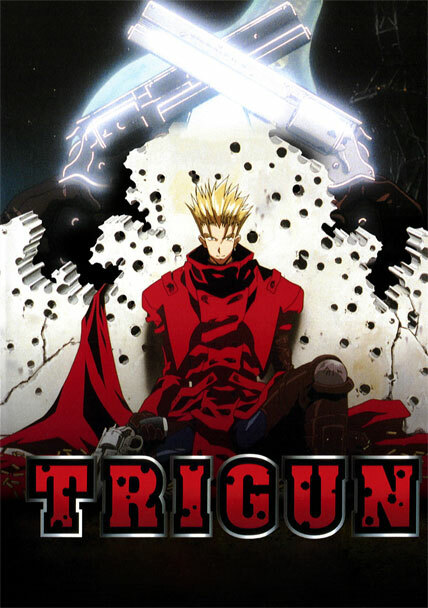 It kept trying to downplay and hide it's darker, tortured core, but in the end it all came out and the show, just like Vash, came to grips with it's serious nature. This show also did something with character I'd never seen done before it: Instead of getting into the main character's head and really seeing the world from his point of view, you instead only saw what he WANTED you to see, which meant the viewers, like the sub-characters, were always asking themselves just what is the true face of Vash? Vash was the hero of my teenage years, and even if you didn't agree with his morality (I, at least, would have just shot the bad guys at some point,) the lengths he went through to do what's right made him an icon for any adolescent boy. In the end all he wanted was a quiet, happy life, but when the chips were down he never backed away. And, unlike other characters of this trope in anime, Vash's problems weren't always centered around his past: he would actively seek out ways to help others, not because he was trying to be a super hero, but because he was a good man and some things are just too important to ignore. And that is a true hero. 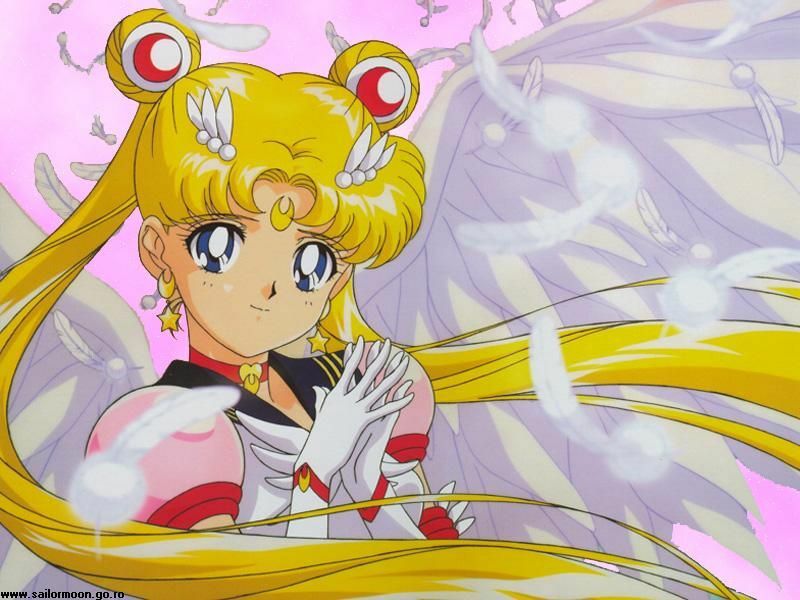 Yes, I watched Sailor Moon and I'm proud of it. This show did boast a good male demographic, and at least in my experience it was definitely not for the eye-candy (compared to most male-demographic shows both then and now, the Sailor Scouts' short skirts might as well have been turtlenecks.) I couldn't have verbalized why I liked this show so much, and eventually, like with all shows that go on for ten thousand episodes I did eventually lose interest, but back in it's prime this was definitely my favorite show. I think for me it was that this show took something I was starting to get interested in (girls) and put them into a context I could understand. Yes the characters weren't very deep (it's a children's show after all) and they definitely had stereotypical leanings, but it was still better at portraying women realistically than any other show I'd seen. Certainly better than the women in most men's programming. This show combined action, women who behaved like actual women, a look into the (for me) uncharted realms of the female mind, a tasteful exploration of mild sensuality, and some not-to-bad story-telling, and I loved it. The big thing, though, the reason why this show is all the way up at #2 is not only did it help me understand girls, but it taught me what women wanted in men, too. 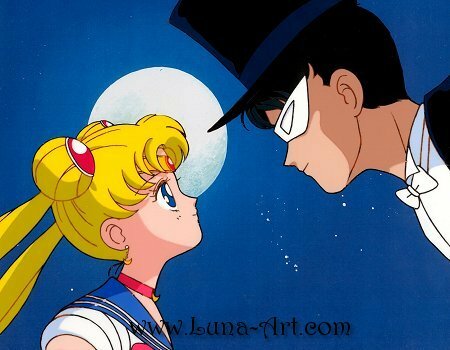 Of course there were love interests on this show: men who paved the way for the sparkling vampires we see today, and Sailor Moon's version was a man named Darian. The thing with Darian, however, was I actually really liked him: Yes he was the "love interest," but unlike most men in that category, Darian still looked and acted like a real guy. He had a mind of his own, he could get annoyed, and frankly if he and the heroine hadn't gone through everything they did together, I doubt they'd have started dating at all. But at the same time he was strong, confident, caring, romantic, self-assured, and everything else a healthy love interest should be, and as an emerging youth I took that lesson to heart. If I have succeeded in life and marriage, I must give this show credit for helping me along the way. This show taught me to understand women and how to be a romantic, and wrapped it up in an action story I liked watching, and for all that this show holds the slot as the second most influential story in my life. My first exposure to Tenchi was through a friend of mine in high school, who loaned me his copy of the series's first film, “Tenchi Muyo in Love.” I didn't know why I liked it so much, but liked it I did. I probably watched it 20 times over 3 weeks. When I first saw the Toonami commercial announcing they were going to start showing Tenchi Muyo, I literally stood up and cheered. Except then the show began and it wasn't really that good. If you're familiar with Toonami, you probably remember the badly-done editing for content they sometimes did. Super-imposed objects to cover up cigarettes, changing beer mugs to frothy mugs of water, things like that. Well, the show Toonami first showed was an on-video-only Tenchi series in Japan and the thing was so full of bad edits and super-imposed bathing suits it was painful, not to mention the story sucked beyond measure. I didn't understand: where was the Tenchi I'd seen in the movie, the one I'd been so excited for? Then Toonami moved past that trash started showing Japan's TV version of Tenchi Muyo, dubbed “Tenchi Universe” in the States, and I finally got my wish. There wasn't any one thing that made this show so endearing to me, it was just... the whole thing. Everything. Tenchi Universe just rang true for me. Tenchi wasn't an idealized figure: he was just a genuinely good guy. He was quiet, kind, wicked cool with a sword, but he didn't need adventure to show it all off: he was a great guy in everyday life, too. Plus the show had cool Shinto stuff, and having lived with Shinto Priests for a while I have to say, it's all pretty awesome. Technically, Tenchi is part of a Japanese TV tradition of nerd wish-fulfillment: shows where one guy somehow ends up with multiple women fighting over him. I've seen other shows try to do this, and almost every time I saw it I found myself thinking “Really? I'm supposed to believe these women are all smitten with a dork like this?” but in Tenchi I believed it. 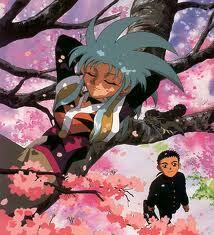 Tenchi was a likeable guy, so of course women would like him. But in the end, that's not why this is my #1 most influential show. That reason is bigger. When I was a teenager, I went through that period I hear a lot of people do where I looked at myself and found myself lacking. I just expected more from myself than who I thought I'd become and I was disappointed with me. Then one day I looked at myself in the mirror and asked: if you don't like who you are, why not change? Well, who did I want to be? I thought about that for a while. I wanted to be Tenchi. I wanted to be kind, capable, friendly, likeable, able to take care of myself, and to be a good guy without needing “bad guys” to beat up first. I wanted to be liked by girls because I was a likeable guy. In short, I wanted to be Tenchi. So yeah, that's the big shebang. That's why this show is my #1, because it really did help me become the man I am today. Maybe that's why I think so much about the intrinsic power of stories: in a way, I kind of owe my life to one. Just as a show of how much I still feel it's influence: In the very last scene of Tenchi Universe, Tenchi is left alone after his friends have left the planet to pursue their separate lives. He's lonely, he's meloncholy, when all of a sudden Ryoko (Arguably the coolest woman in the show and the one I would have picked if I were Tenchi) appears and leaps into his arms. The song “Dimension of Love” starts playing as she smiles and tells him the best things in his life will always come back to him. As I sit back now and think about coming home and seeing my own wife after being apart for two months, that scene has played through my mind more than once. Thank you all, and I hope you've enjoyed this look through my narrative history. Thinking about it, I now understand why telling stories is such a big part of my life. The power of story is what's brought me to where I am today, and one day I hope I can touch someone's heart like that as well. Especially for those of us who're hoping to spin tales for a living, I think it's worth it to take a look at ourselves and discover what stories have had the most impact on who we are today. wait...this is why you wanted to name our first son Darian...?